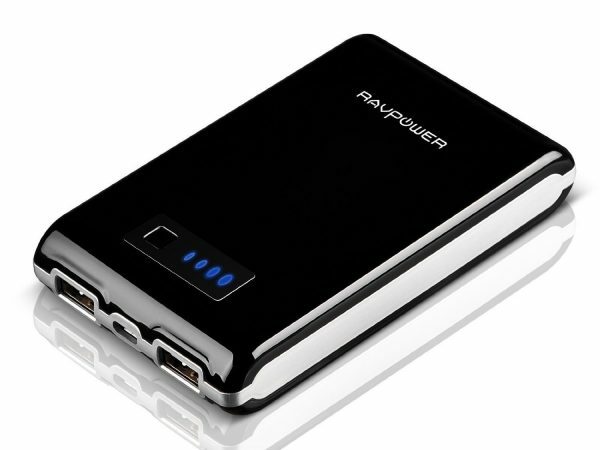 The RAVPower is a 10400 mAh sized battery pack that allows you to charge two devices at one. It also comes with LEDs to let you know the power level, and an on-off button to keep it going. It is shaped almost like a small hard drive, or a brick, or a fat tablet. You pick your description, but the RAVPower is quite a reasonable size, and while it is thick, it fits in perfectly in your pocket. This makes it very carryable, and you can also keep it with you in your bag at all times. 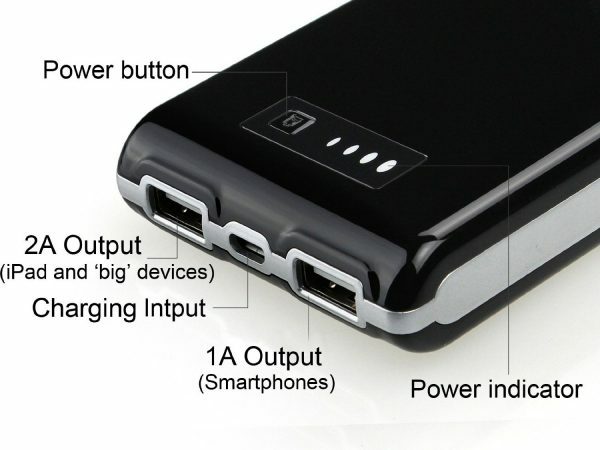 A couple of ports let you use the charger for either tablets (2.1A) or smartphones (1A). The LEDs give you power rating, while the power button lets you turn this on or off. Not much to it really, as simple as charging any of your devices. Plug it in, and off you go. This is where it gets a bit funny. 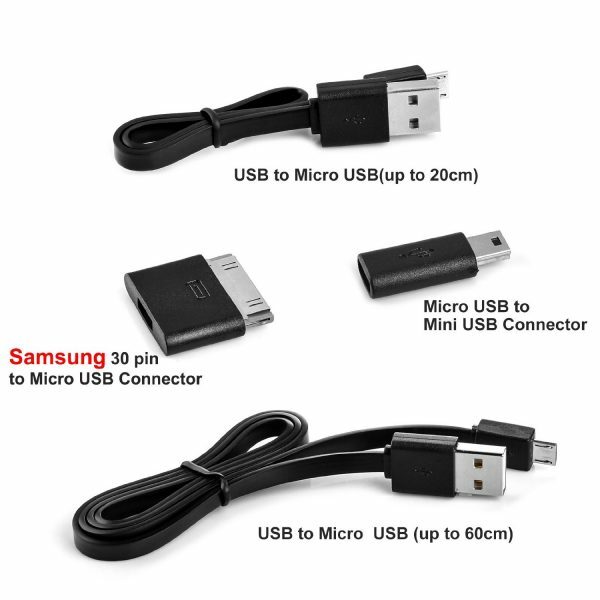 The package includes the charger and a couple of USB to micro USB cables. It also contains an adapter for Samsung tablets and mini USB. Now I don’t have a problem with either, and they are both useful, but when I first looked inside the box, they looked like they were a 30 pin Apple connector adapter and a lightning bolt adapter. Personally, I think the ones I mentioned would have been more useful, but it is the choice of the manufacturer. If you do need those adapters, they are available all over the shop. It generally retails for £79.99, but is going at only £16.99 at the moment, giving you a sale of almost 80%! Battery packs are almost necessary these days. While I never travel without one, at the discounted price above, it would be silly not to have something that can charge your phone up to 5 times! So, this device actually became my battery of choice for a very long time! In fact, so much so that it was always with me, wherever in the world I travelled. It has been all over Europe, in Pakistan, and even in Egypt. However, thanks to all the stuff that was going on in Sharm el Sheikh this recent month, the ‘security’ at the airport told me I wasn’t allowed to take it with me back home. A sad day, really. As this really kept things going for me, and in a very reliable and super way.